Apollo Gate Opener Replacement Parts. We sell individual Nice Apollo gate opener replacement parts for your convenience. The parts found here are the most commonly needed items. These include replacement control boards, brackets, mounting equipment, retrofit kits, hardware packets and more. 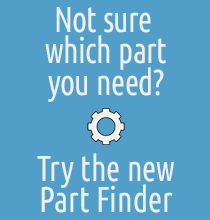 If you're having a hard time finding just the right part, you may want to check out our Nice Apollo replacement part finder to help guide you through the process. Nice Apollo 11111B Empty Heavy Duty Steel Control Box (Includes Lid, Key Switch and Push Button) 18" x 18"